It does looks unloved and there are very few books. So what were they going to do? 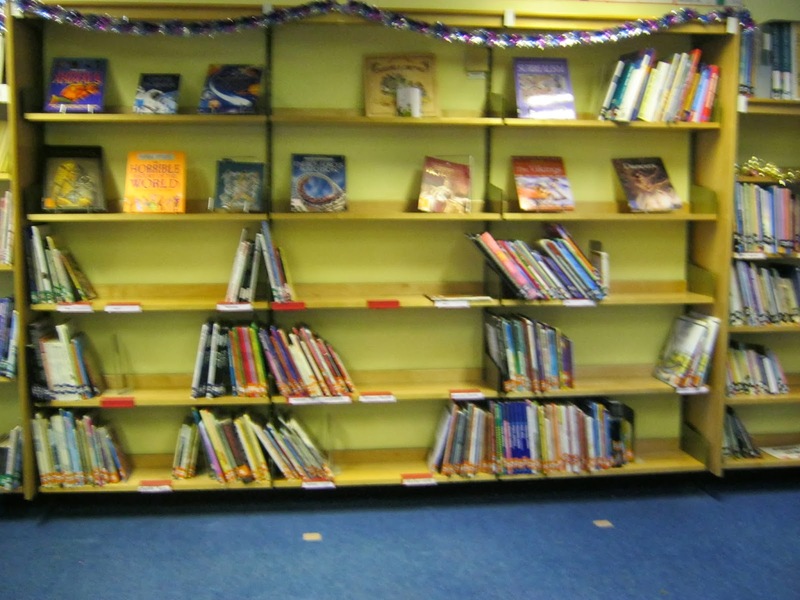 The primary school I went to in Leeds did not have a library – in fact I can’t remember ever even seeing a book in there, though there must have been some. I’ve always loved reading so every Saturday I went with my family to the local library to choose some books; we were all great readers. The place was very special, with wooden floors, brass fittings and green leather seats. I loved the smell of beeswax polish and the hush of the place. I yearned to stamp books with a stamper like the librarian did. It is so important to have access to books, even if you can’t read, the pictures can be great. Books are imperative to keep the brain ticking over and to inspire; to encourage one’s vocabulary and imagination, to be able to lose one’s self in another world is simply bliss. I wouldn’t have known what to do without a regular supply of books each week. They were far too expensive to buy in those days and there were no Oxfam Book shops either, which is where I get many books now. So a huge thanks to King’s Forest Housing Association who came up with some MONEY. 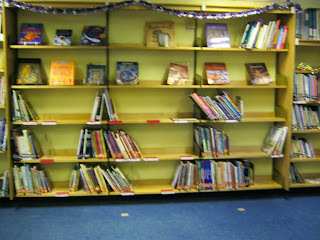 They donated £2,000 towards the school library and with that generous donation, and donations from the PTA, the library was able to buy books and a computer. I have always wanted to cut a ribbon and I got a massive pair of scissors to do it with too. What joy. So congratulations to Cadbury Heath and all the people who helped to make this happen. I hope the children will enjoy the new library and learn to love the books – it’s packed with super reads at the moment, so get in there all you children and love READING!!! ps the picture of Mr Cool Cat has nothing to do with anything – I just love it.